I am now studying why people live where they do - how their class culture, ideology, and views of "the city" shape what kinds of neighborhoods they want to live in. 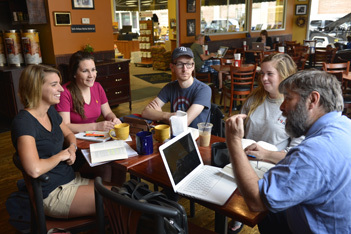 We are focusing on Centre alumni in greater Louisville for our basic data. This will be published as Between Bohemia and Suburbia: Boburbia in the USA, by Routledge. I study happiness and community life. I am particularly interested in how volunteering for community organizations both produces a happier society and produces happiness in those who volunteer. I am member of the Altruism, Morality, and Social Solidarity section of the American Sociological Association, for which I edited the newsletter. Starting with my dissertation I have done a number of studies of the Presbyterian Church. I am a member of the Religion section of the ASA. Before coming to Centre I worked in the U.S. Department of Education, in the Office of Research. There I worked primarily on the educational role of families. I am a member of the Family section of the ASA. In addition, I have a long-running interest in how social class affects how people actually live. My approach owes the most to Pierre Bourdieu's Distinction: The Social Critique of the Judgment of Taste. I run a Theory Camp each summer, in which a small group of students studies a hard text with me. Here is the most recent story. "Happy, Busy Calvinists", Society, 2015 (Vol. 52, no. 6). "A Deeper Durkheimian Society for Haidt's Righteous Minds", Society, 2014 (Vol. 51, no. 4) Ask me for a copy. "How to Have a Happy Life" Richland College, 2016. “Happiness and Vocation” Hendrix College, 2014. “The Center of the Happy Society.” Keynote address, Happiness and the Virtues Conference, Viterbo University, 2014. “Acting Happy Makes the World Better” Reinhart Institute for Leadership in Ethics, Viterbo University, 2013. “Acting Happy Makes the World Better.” Servant Leadership graduate program, Viterbo University, 2012. “Faith and Happiness.” Faith and Higher Education symposium, Georgetown College, 2012. 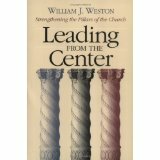 I have studied religious competition, especially in the Presbyterian Church (USA), since the 1980s. 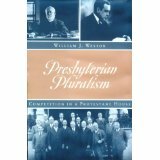 My revised dissertation was published as Presbyterian Pluralism: Competition in a Protestant House (1997, University of Tennessee Press). 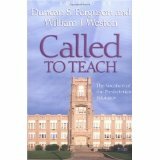 In 2003 I published two books with Geneva Press, Called to Teach: The Vocation of the Presbyterian Educator, an edited volume with Duncan Ferguson based on a 2000 conference at Centre, and Leading From the Center: Strengthening the Pillars of the Church. I also wrote a widely distributed (and somewhat controversial) pamphlet, Rebuilding the Presbyterian Establishment (2008). I was ask to give the Willson-Gross Lectures at Union College (KY) on "The Clash of Civilizations and the Next Christendom" in 2004. Education and the American Family: A Research Synthesis (1991, New York University Press; editor). “The College Class at Work and at Home.” Society. Vol. 48, no. 3 (April, 2011). “The Power Elite and the Philadelphia Gentlemen: Arguing with Mills and Baltzell about How the Nation Is Led.” Society, Vol. 47, no. 2 (March/April 2010). "The Hidden Class Struggle in American Class and Family Research." Sociological Imagination. Vol. 34 no. 1 (1997).